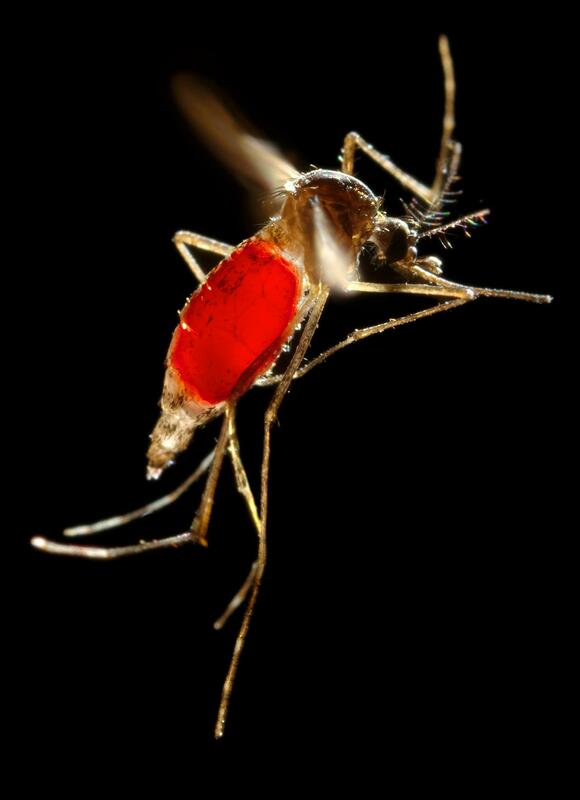 Annapolis, MD; April 4, 2019–Public health officials could soon be able to detect viruses in mosquitoes in the wild much more quickly and easily–thanks to the insect equivalent of a urine test. In just the last few years, researchers have discovered that viruses such as dengue and West Nile can be detected in the excreta, or liquid waste droplets, of infected mosquitoes. Now, a new study in Australia shows that two kinds of commonly used mosquito traps can be readily modified to collect mosquito waste to be tested for signs of viruses. The results of the study and details of the trap modifications are published today in the Journal of Medical Entomology. It’s a proof of concept that puts this technique closer to use in regions around the world where mosquito-borne viruses are a public health threat. “These methods could readily be employed worldwide, as the trap modifications to collect mosquito excreta can be done relatively easily and cheaply,” says Dagmar Meyer, Ph.D., postdoctoral research fellow at James Cook University in Cairns, Queensland, Australia, and lead author on the study. Other methods for detecting mosquito-borne diseases in wild populations include collecting pools of mosquitoes to test directly for viruses or testing blood samples from animals, such as chickens or pigs, that are also bitten by mosquitoes and serve as “reservoir” hosts for viruses. Both of these come with challenges, such as labor-intensiveness and the need to maintain continuous cold storage of samples from collection through testing. In 2010, a method was developed to collect mosquito saliva, which could also be tested for signs of viruses, on “nucleic acid preservation cards,” which preserve viral RNA at room temperature over lengthy periods of time; the cards were coated in honey to attract the mosquitoes to feed on them. However, a virus must incubate in a mosquito before being detected in its saliva, a period that can be as long as 15 days, but a virus can be detected in a mosquito’s waste liquid in as little as two or three days. Plus, while a typical mosquito expels less than 5 nanoliters of saliva while feeding, it produces about 1.5 microliters of waste liquid each time it excretes. That’s about 300 times as much sample material to work with–presuming it can be collected in the field from wild-caught mosquitoes. That’s what Meyer and fellow researchers at James Cook University, the Queensland Department of Health, and the Northern Territory Department of Health sought to find out. They started with overnight mosquito traps and long-term deployed passive traps, which all attract mosquitoes by emanating carbon dioxide; the overnight traps also use a powered light for attraction. Traps for overnight deployment consisted of a modified trap container that was attached to the standard trap models. The container held a honey-coated feeding substance, and a polycarbonate sheet placed at the bottom of the container collected the mosquito waste droplets. The nucleic acid preservation cards then were used to wipe the polycarbonate sheet. Traps for long-term field deployment contained an external source of moisture, to keep mosquitoes alive for longer and thus excreting more, increasing the possibility of virus detection. The traps also housed honey-coated feeding substances, and nucleic acid preservation cards were placed directly in the traps to collect mosquito waste droplets. The researchers then tested the collected mosquito waste for presence of West Nile virus, Murray Valley encephalitis virus, and Ross River virus, each of which were detected. “Our study, to our knowledge, is the first to have detected arboviruses from field-collected mosquito excreta,” Meyer says. Meyer’s collaborators on the study were Ana Ramirez and Scott Ritchie of James Cook University, Andrew van den Hurk of the Queensland Department of Health, and Nina Kurucz of the Northern Territory Department of Health. The team of researchers say advances in molecular methods for detecting viral RNA in biological samples in recent years has made the testing of mosquito saliva and excreta for viruses feasible, and their success in the collection and detection in excreta opens the door for detecting mosquito-borne viruses in a way that is “simple, potentially more cost-effective, and allows for earlier and more sensitive detections” compared to other methods. They suggest future work can continue to optimize the trap modifications and compare the method’s effectiveness with other existing methods. “Development and field evaluation of a system to collect mosquito excreta for the detection of arboviruses,” will be published online on April 4, 2019, in the Journal of Medical Entomology. Journalists may request advance copies of the article via the contact below or download the published paper after 10 a.m. U.S. Eastern time, April 4, 2019, at https://doi.org/10.1093/jme/tjz031. ABOUT: ESA is the largest organization in the world serving the professional and scientific needs of entomologists and people in related disciplines. Founded in 1889, ESA today has more than 7,000 members affiliated with educational institutions, health agencies, private industry, and government. Headquartered in Annapolis, Maryland, the Society stands ready as a non-partisan scientific and educational resource for all insect-related topics. For more information, visit http://www.entsoc.org.